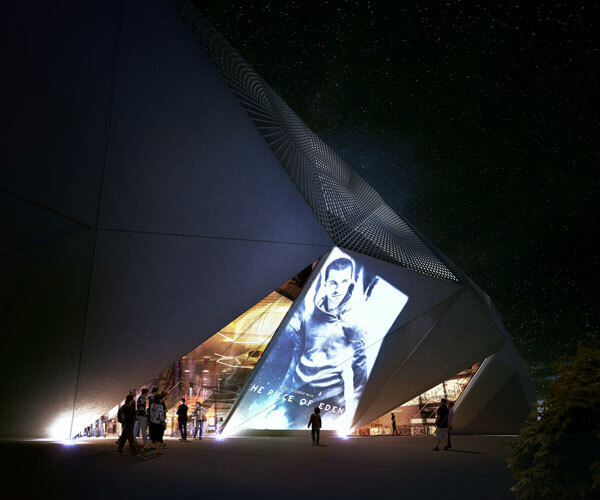 The Cannes multiplex cinema, the most modern movie theater in France, initiated by Mayor David Lisnard, will open in the city of the Festival de Cannes. On April 21, 2015, David Lisnard introduced the concept of the future Cannes multiplex cinema to be integrated on the technopole of La Bastide Rouge in La Bocca. In addition to hosting and development structures for start-ups and a university campus, the leading-edge project will provide Cannes people with a new high quality cultural and entertainment offering. This multiplex cinema, iconic for the city of the Festival de Cannes, will create synergies between the future image technology park, the Palais des Festivals and movie theaters in the city center. To strengthen its image of capital of Cinema, the city has promoted the creation of a cinema complex in the image technology park of La Bastide Rouge in Cannes La Bocca to match its international reputation. The development of the DVD and home theater, piracy on the Internet and the distribution of streaming movies, gradually took away the spectators from cinemas. The Cannes cinema multiplex at La Bastide Rouge will enable to regain the pleasure of a screening in a cinema whose high-quality of image, sound and services should encourage the audience to re-appropriate the fabulous cinema world of dream and culture . 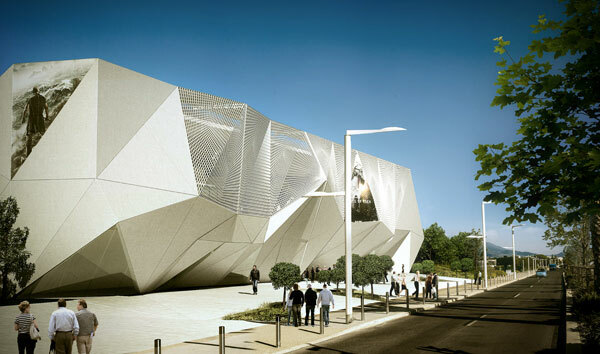 The Cannes multiplex cinema will provide a unique offering in France by its architecture, design, technology, comfort and services. Built and operated by the Compagnie Cinématographique de Cannes (the CCC already operates the Arcades and Olympia cinemas), the project will provide a unique urban architecture signal and embellishing the entrance to town in Cannes la Bocca. 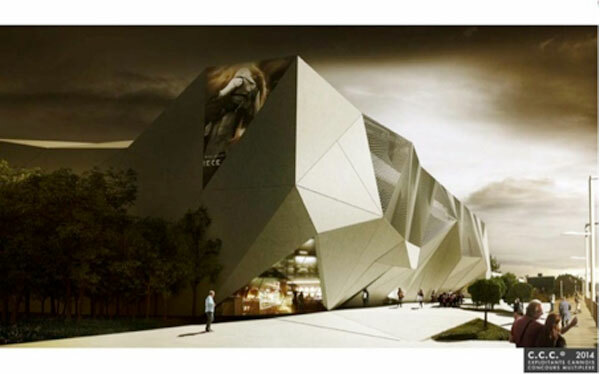 In addition to its innovative aesthetics and its architecture similar to a mineral crystal with concrete facades fragmented into multiple facets, the building will generate a live and dynamic effect, set off by day and night light variations. 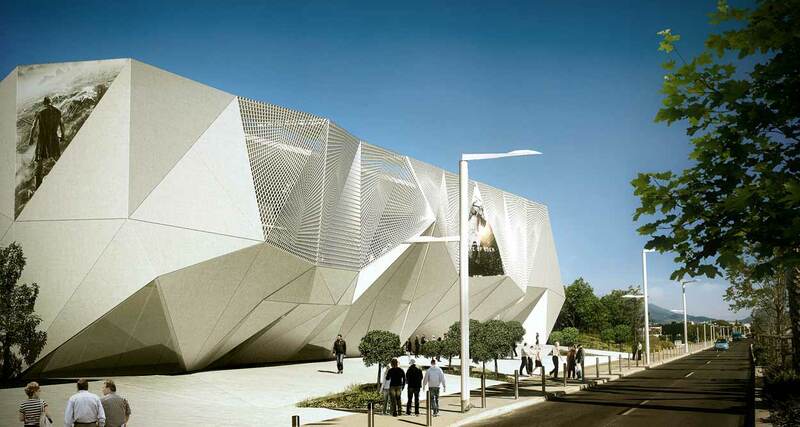 A project designed by Rudy Ricciotti, a renowned architect specializing in Mediterranean cultural venues. 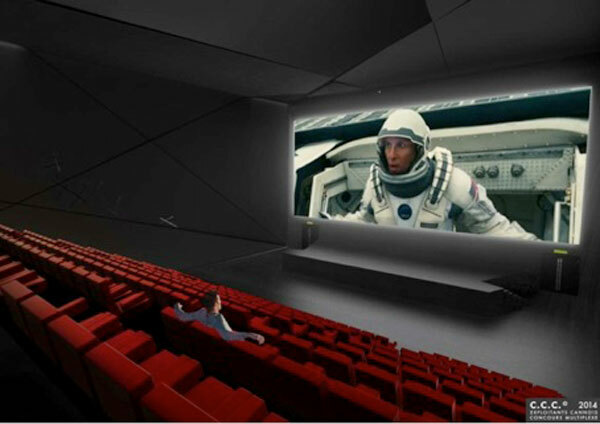 The Cannes multiplex cinema will comprise 12 rooms – the largest with 433 seats – including a VIP room with double armchairs. In all, 2,426 seats will welcome the thrill seekers or romances lovers. Treated with the same quality standards by the renowned designer Arik Lévy, the interiors amenities and the lobby and different areas, instead of mere “waiting room”, will be a recreational area where spectators can hang out and have fun. The multiplex cinema will boast the most modern cinematic tools and cutting-edge technologies in terms of images, sounds and accessories. In addition, the Cannes multiplex will be the first in Europe to be entirely equipped with Dolby Atmos technology and the first in France to have the Laser Dolby Cinema technology, a pioneering technology with 6K digital projectors currently offering the highest existing quality of image. Viewers in the great room will immerse in the film with dynamic seats that move with the action and the largest screen of southern France with a 24 meter base. 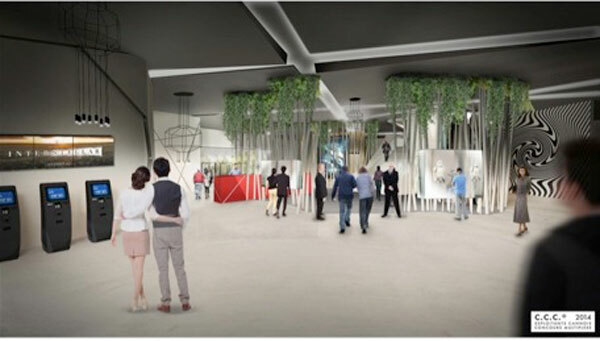 The Cannes multiplex cinema is to become a real place for living and a gathering with a cine-cultural space, a backstage area to present the “behind the scenes” of a film being screened – with costumes and other scenic elements – two restaurants and fast food areas. To make the most of the leisure time or restauration, the implementation of electronic ticketing in accordance with the spectators’ new purchasing practices, will enable people to book their seats and get to the movie shortly before the film starts, while being sure to be seated where they wish. The multiplex is scheduled to open to the public before the end of 2018. Whatever the age and cinema tastes of the audience, the programming diversity which will offer, beyond the distribution of films, the retransmission of major cultural and sporting events, will contribute to turn a “cinema outing” into a real leisure event. cannes c’est ma residence secondaire.